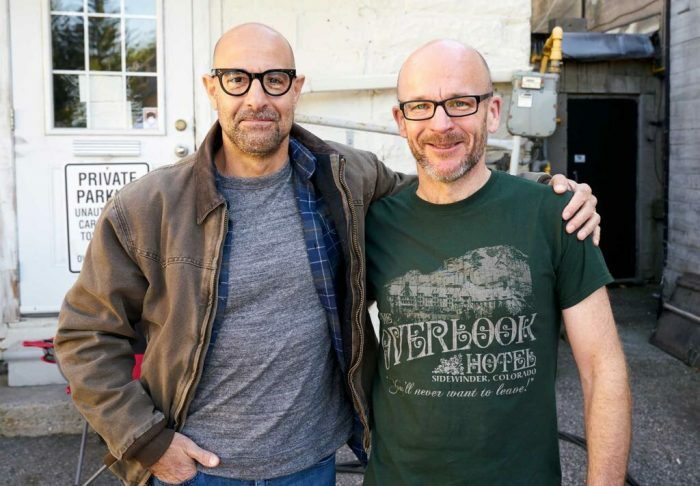 Tim’s 43rd Novel, and 8th in collaboration with Christopher Golden has been released in the UK today. Ebook, Hardcover, audiobook and CD versions are all available now. Click on the cover for ordering details. 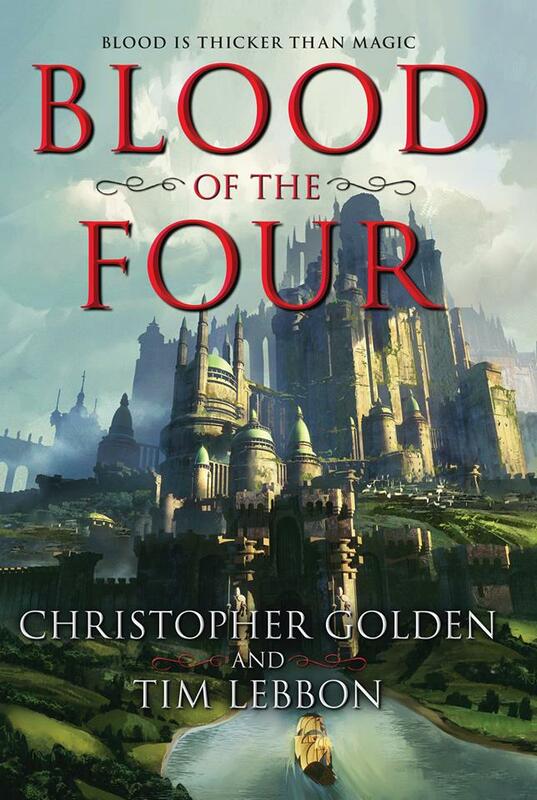 Blood of the Four has been out for about a month in the US, but UK readers can get a copy this week. Reviews have been coming in from the US, so you can read those and find ordering details on the book page. Just click the cover. The Folded Land blog tour is over, it featured extracts, reviews, interviews and more. Links to all the stops are on the book page along with ordering details if you don’t yet have one. So click the cover to see what you missed. 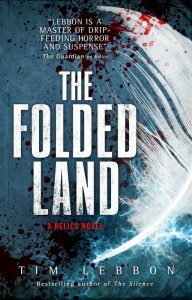 Tim’s 42nd published novel – The Folded Land – is due to hit bookshops tomorrow (though a few sightings have already reached Lebbon Towers so you might be reading it already). To celebrate the launch Tim is doing a blog tour, which started today over at The Ginger Nuts of Horror site. The rest of the stops are shown below and I’ll put direct links to each stop every few days. Click the cover for details of where to order, and to read an extract. There will be a book launch for both Blood of the Four and The Folded Land at the Foxhunter Inn, Nantyderry, on Saturday March 31st at 4pm onwards! It’s a fine pub with good ales and nice food. In the dark underbelly of our world, there’s a black market in arcane things living and dead. Angela Gough has been pulled into this world, making her a criminal on the run. In London she encountered the Kin – satyrs and centaurs, Nephilim and wraiths, they are hunted and slaughtered for their body parts. Fleeing back to the United States, Angela discovers that the Kin are everywhere, and they are tired of being prey. When her niece Sammi is struck by lightning, she is drawn toward the mysterious Folded Land, and its powerful and deadly ruler. Helped by her lover Vince, caught in the midst of a Kin uprising, Angela must locate Sammi before the girl is lost forever. 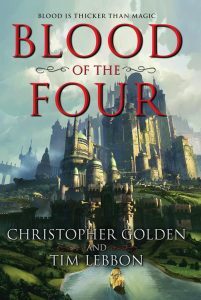 Blood of the Four has hit the streets in the US, however if you have yet to get a copy, or are not in the US then you can read an extract from the novel over at the Nerdist website here. 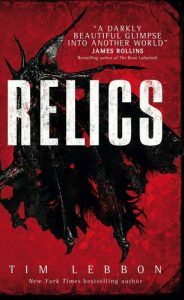 You can read a review (with mild spoilers) at the Barnes and Noble blog. If you are in the US you can get your copy signed by Chris at “The Castle: A board game café” in Massachusetts on March 15th (then stay and play board games). Information here. Those of us in the UK though should not feel left out as on June 5th Tim and Chris will be signing at Forbidden Planet in London. Details here. 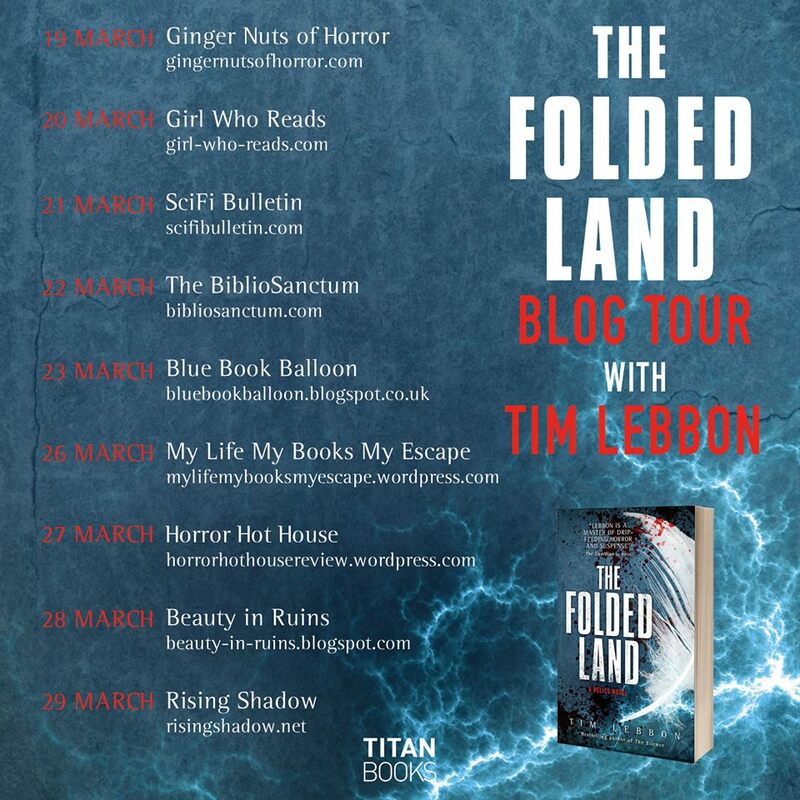 Finally if you have finished the book already, or have still got a month to wait until it is released, then fear not because “The Folded Land” is out on March 20th and you can read an extract of that over at the Ginger Nuts of Horror site. 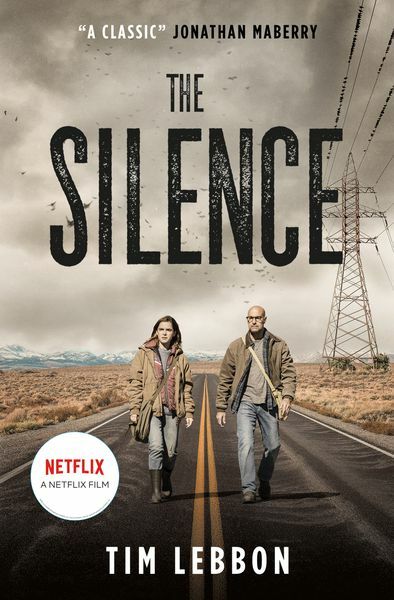 The UK release is April 19th, with pre-order links on the book page. Happy New Book Day everyone! In the great kingdom of Quandis, everyone is a slave. Some are slaves to the gods. Most are slaves to everyone else. Blessed by the gods with lives of comfort and splendor, the royal elite routinely perform their duties, yet some chafe at their role. A young woman of stunning ambition, Princess Phela refuses to allow a few obstacles—including her mother the queen and her brother, the heir apparent—stand in the way of claiming ultimate power and glory for herself. Far below the royals are the Bajuman. Poor and oppressed, members of this wretched caste have but two paths out of servitude: the priesthood . . . or death. Because magic has been kept at bay in Quandis, royals and Bajuman have lived together in an uneasy peace for centuries. But Princess Phela’s desire for power will disrupt the realm’s order, setting into motion a series of events that will end with her becoming a goddess in her own right . . . or ultimately destroying Quandis and all its inhabitants. 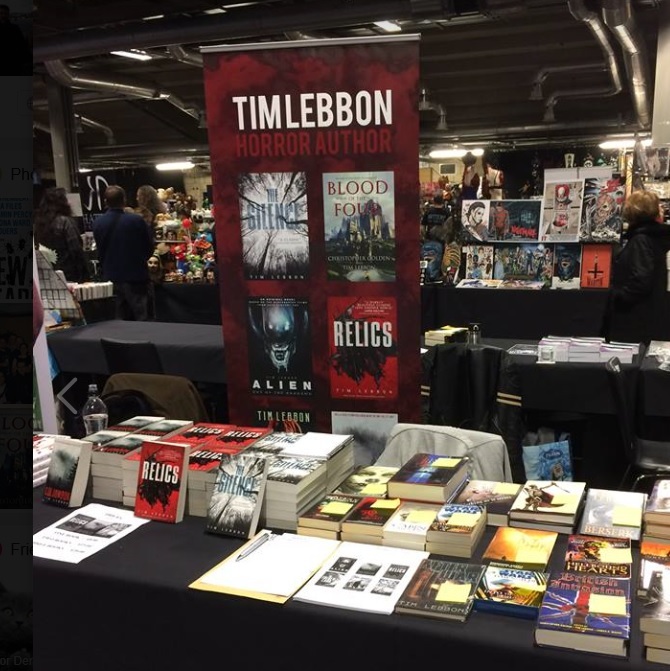 A quick update, Tim is at the Birmingham Horror Con this weekend. You can find him by this banner. 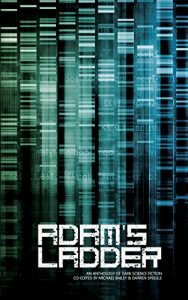 Quick note to say the ebook of the collection “Adam’s Ladder” which features the short story “Strings” by Tim, is currently on sale for the next four days.